I have to say I'm semi-disappointed with Split Second. Pivot Point, the first book in this series was a nearly flawless novel and one of my favourites of 2013. I was expecting a similar reaction to the sequel, but unfortunately it didn't quite get there. Now don't get me wrong, I still loved this book. But I did miss the plot of Pivot Point, where Addie had to choose between two possible futures. Kasie West had brilliantly woven the two paths together and it made such a gripping read. However I don't think it would have worked for this book anyway, becoming to repetitive. 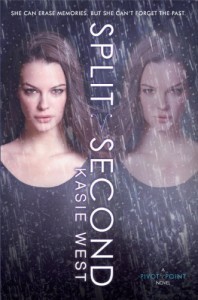 Much like the first book, Split Second focused on family, friendship and love. The real-world situations blended in with the paranormal themes of the story flowed so effortlessly, and is what makes this book so good. Possibly my favourite new addition to this book is Laila's point of view. After being somewhat annoyed at her in Pivot Point, it was really cool to see the world through her eyes. Her perspective was distinctly different from Addie's, and I didn't have to look back at the beginning of the chapter just to see who's POV it was. (Yes, Allegiant, I'm looking at you.) Her relationship with Connor was hilarious to watch unfold, as they both tried (and failed) to hate each other. Addie: Hi! 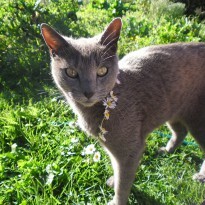 You don't know me but I love you! Trevor: Wow! Cool! That's not creepy at all! The plot itself was good, with lots of twists and turns that I loved. Although I thought the climax and the ending were very weak and a little bit predictable. Overall I can't say I'm satisfied, but I had a great time. Laila's point of view almost made up for everything I didn't like. Almost. If you haven't read Pivot Point I very highly recommend it.